When I first saw the Blackbird it appeared as if it was another track day car to compete with the likes of the Ariel Atom, KTM X-Bow, and BAC Mono. Boy was I wrong! The Blackbird isn’t a track day car, although it absolutely looks like one, with exception of the tower looking thing sitting behind the driver. The main function of the Blackbird is to be used for automotive advertising in any location, at any time, and most importantly any car without the car itself being there. 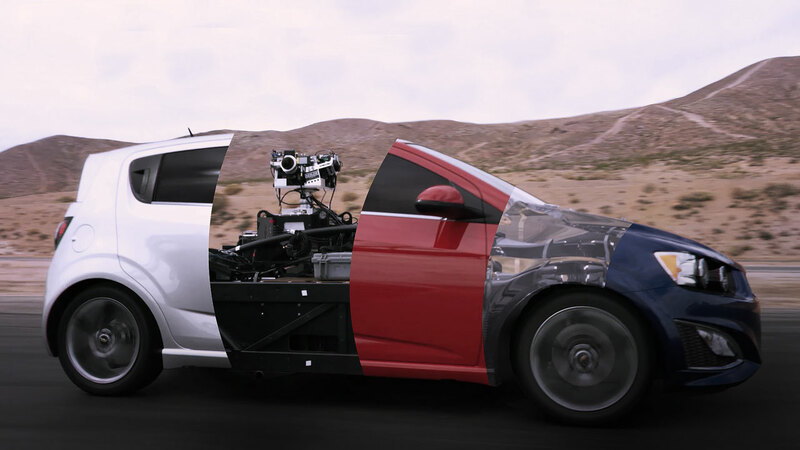 I know that sounds ridiculous, but this thing is able to recreate ANY car using high tech CG so the camera may be shooting the Blackbird, but a Lamborghini Huracan could be what shows up on film. 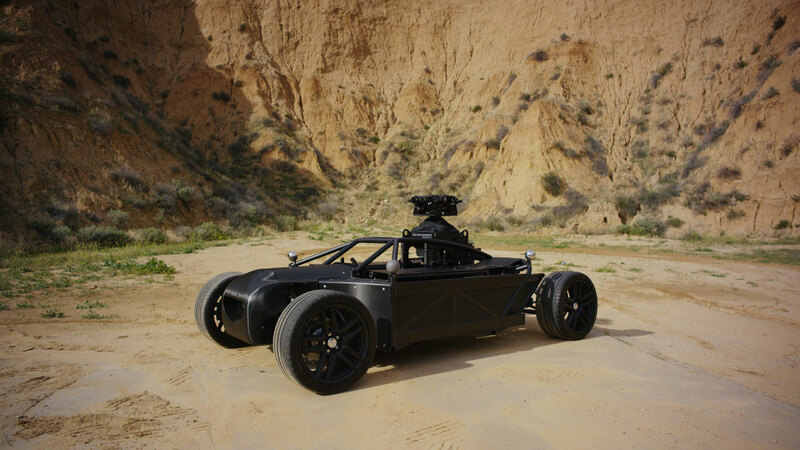 It can be configured to mimic any style of car, front wheel drive, all wheel drive, coupe, sedan, whatever the shot requires. At the press of a button the Blackbird can extend its wheel base by a full four feet and can do the same for the width up to 10 inches. 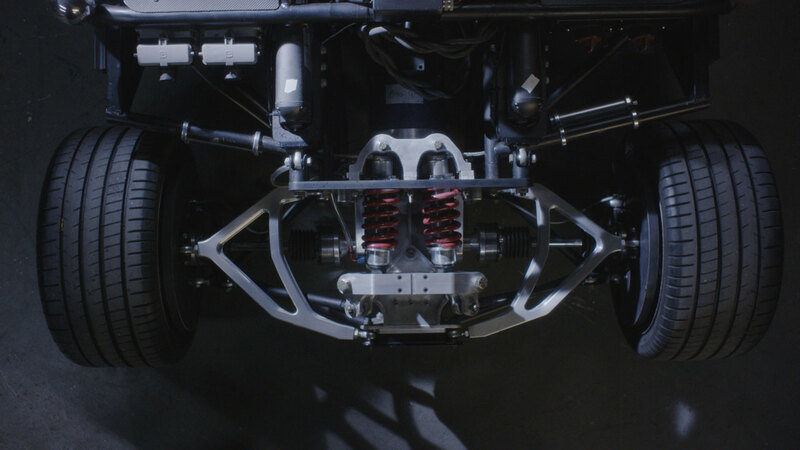 Using an electric motor and fully adjustable suspension, it can emulate the driving characteristics of any car specified. Wheels can also be changed to match what would be on the car it is mimicking because this is the only part of the Blackbird that will be seen on film. The body will be “skinned” later on making it appear as if you had the car in questing the whole time. Sometimes it’s difficult to get a hold of specific models and with the constant updates and small changes that are made to cars nowadays, it could get very expensive to re-shoot commercials every time a small update is made. There is no word on the cost yet of the Blackbird considering it was just released at the Cannes International Festival of Creativity 2016. With all the virtual reality technology improving, they are even saying before long they will be able to incorporate that into the CG of the Blackbird. Which would ultimately give you the ability to take virtual test drive in any car you can dream of. Now that would be pretty sweet. This is an extremely complicated process so maybe I’ll let the experts give a little better explanation. Check out the video below and tell us what you think. Is this a glimpse into the future?